HMD Global, the owner of Nokia, has hired Essence and Mindshare to its £80m global media account. Nokia previously worked with Dentsu Aegis (when it was part of Microsoft) and Dentsu pitched this time. Mother won the creative account last year and new work is expected to launch later this year. Some work will go live soon to promote the recently relaunched Nokia 3310 as well as more sophisticated smartphone models. Essence is taking charge of the company's global digital media for large platforms, such as Google and Facebook, while Mindshare will have responsibility for local planning and buying, including all offline media and some digital. The global media business covers around 50 countries. Nokia signed an agreement with HMD in May 2016, allowing the company to manufacture Android-powered smartphones under the Nokia brand. 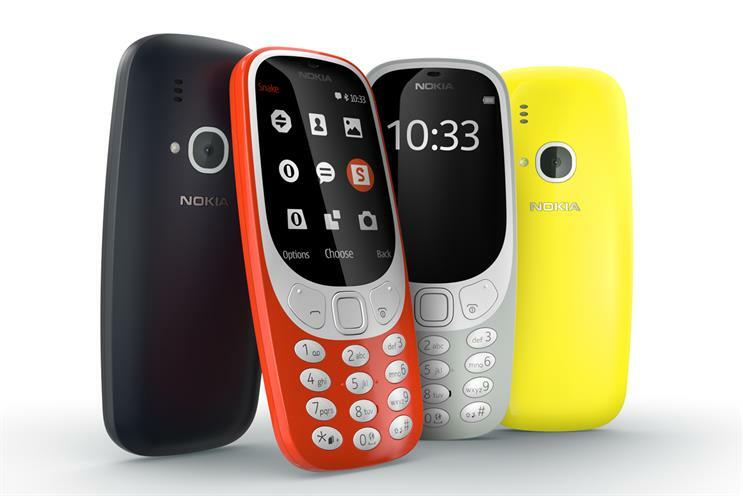 In February HMD relaunched the Nokia 3310 at Mobile World Congress and part of its media agencies' brief will be to push the product in emerging markets, while marketing more sophisticated models in developed markets. HMD Global, Essence and Mindshare did not respond to a request for comment from Campaign.